December 28th is, without a doubt, a time when steps forwards are taken no matter how tired, exhausted or ready to quit we might be. People born on this date rarely give up on any endeavor and path they embark on, a bit stubborn but mostly persistent not to bruise their own ego by failing when they really don’t have to. Aware of their potential in the real world, they seek healthy grounding and boundaries towards others that still allow sensitive emotional connections. Like any 28th of the month, this one carries a story about balance of vulnerability and protection. Still, people born on December 28th endorse the energies of Mars, forcing grounded action that makes them safe, pointed towards the final goal. 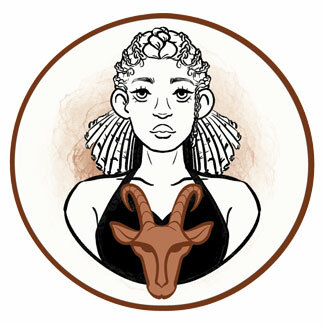 They find it much more important to live a healthy life in the material world than the sensitive flow of the Moon that finds its detriment in Capricorn. The struggle to reach the point of sensitivity and open contact is strong, and these individuals will often be judgmental of their own frailty, seeing themselves as weak and criticizing actions that aren’t brought to perfection. They need to be tender with their Soul, understand that they won’t get much creative and joyful work done if they don’t respect and value their inner child, and talk to the voices in their mind that continually speaks of limitations that "cannot" be overcome. The importance of the feminine is seen in the second planetary row of these individuals, for it points out ways in which visions will be manifested, but also shows how bruises shape the entire system of beliefs and point them in a direction they’d rather avoid. Their life is a time of learning and teaching, when big things need to be understood fully by emotion and one's heart, so that actual progress and width of their lifestyle and their awareness can be found. "Ten Logs Lie Under an Archway to Darker Woods"
Not only are these symbols there to announce something, show us change, but they also hold hidden stories and messages that are hard to see at first glance. Those born at this time won’t easily see the true purpose of other people in their life, giving them roles that aren’t as realistic as their approach to the material world mostly is. They wish to be a part of a greater whole, but in a way protected, with their authentic personality having some trouble shining through before they dig deep enough into the darkness to release the emotional spasm left by distant ancestors. To express themselves freely with a voice to be heard, they need the purity of contact with God. Saturn stands as the purpose and the destination of people born on December 28th and very often they will interpret their energetic impulses as a rush to get things done in time, reach career and personal goals step by step, concerned about finances and real things in life. However, their real mission is to find God and the presence of synchronicity, the Universe itself, in all things they do, seeing that rest is just as needed as hard work. As their physiology relaxes and they release the tension, they create time for sensitive personal needs. This helps them become aware that everything always comes at just the right time, including their most fragile side of personality with all its outbursts and desires. Someone born on the 28th of December is a bit torn between rational solutions in choices of partner and the clear beating of their heart. Luckily, sexuality will lead the way in strange and unexpected ways throughout their life, surprising them with their own choices and pushing them out of comfort zones that became obsolete. They love to make the first move, no matter their gender, but also need to feel safe while doing so and protected by the zone of contact with the one standing in front of them. Faith is being built throughout their lifetime and this will influence either their faith in others, or their faith in their own emotional awareness. Settling for unsatisfying bonds, or solitude, celibacy and distance from others could appear on their search for personal faith. They need time to sort things out, make room for personal and emotional needs in their life, so they can give in to a relationship that is filled with warmhearted conversation and healthy sexuality that blossoms with time. 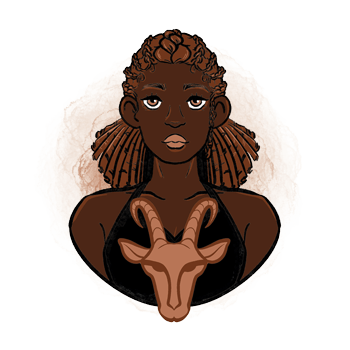 A Capricorn born on December 28th excels in sports and active workplaces, they have a knack for practical matters and work best with soil, seeds, animals and Nature, or in law enforcement as cops and firefighters. When in touch with the emotional core of their grounding, however cold it might be at first, they become incredible shamans and authority figures for other people seeking spiritual awakening. They will work in fields of sharp technology, guns or blades, and quick, smart solutions to daily matters. Shaman stones are an excellent choice for someone born on the 28th of December. They come in pairs, each pair consisting of one female and one male stone, with the importance of balance between feminine and masculine energies emphasized. They are used for spiritual growth, enhancing energies that are weak or tainted by interaction with the outer world, helping to overcome deeply seated fear in one's Soul. A birthday gift for a person born on the 28th of December should be practical and just surprising enough. They like their gifts and congratulations on time, rely on traditions and enjoy a dinner in a fine restaurant just as much as a fancy present of any other kind. Give them something to exercise in, potent spices that will awaken all their senses, or a pocket knife to carry wherever they go, surprised by how often they’ll actually need it. Grounded, protective of themselves and others, they understand realistic limitations and boundaries of personal space, respectful of everyone's right to be present right here, on Earth, and in their life, at this moment in time. Losing touch of their sensitive needs, speeding towards a goal only to rush into more dissatisfaction, they become difficult and lose balance, pressured to be something they aren’t and feeling the need to put the same pressure on everyone else. In 1922 Stan Lee was born, an American publisher and comic book writer, who was Marvel Comics’ primary creative leader for two decades. He co-created numerous popular characters and heroes such as Spider-Man, Iron Man, the X-men, the Hulk and others, leading a small family-run business to a multimedia corporation that dominated the industry of comics. In 1954 Denzel Washington was born, an American actor and director, who starred in Training Day, American Gangster and the movie he directed, Fences. His parents divorced when he was a teenager and his mother sent him, at age 14, to Oakland Military Academy in New Windsor, New York, the experience that changed (saved) his life as he later stated. In 1978 John Legend was born, an American singer, songwriter, pianist and actor, whose single "All of Me" reached the top of Billboard Hot 100. Before becoming a singer, he studied English in the University of Pennsylvania, with an emphasis on African-American literature. 169 BC – The holiday Hanukkah comes to be, as a menorah is lit to rededicate the Holy Temple of Jerusalem after centuries of foreign rule and oppression. 1832 – The first time that a Vice President of the U. S. resigns. 1836 – Founding of Adelaide and South Australia. 1836 – Mexico gains independence from Spain. 1895 – A paper with details on the discovery of x-rays is published. 1973 – Signing of the Endangered Species Act of the U. S.